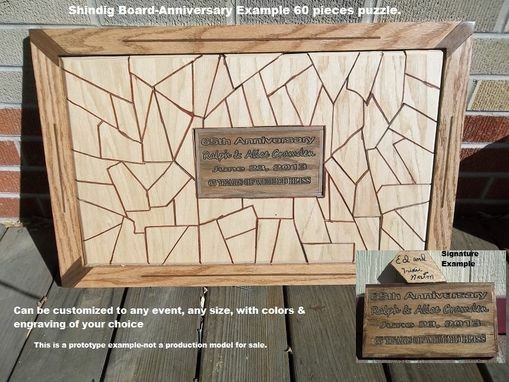 Shindig Board-Medium Model In Retirement Party Example. A 60 piece board of puzzle pieces to be signed by the guests at your event. When complete, this makes a treasured keepsake of an important event in your life. Can be made in different sizes, colors, for different occasions, each with custom wood engraving.